The Active World Tray is a versatile tool perfect for the home or classroom and creates endless opportunities for invitations to play for children. It is durable, works equally well both indoors and outdoors, and can be used with a variety of other materials. 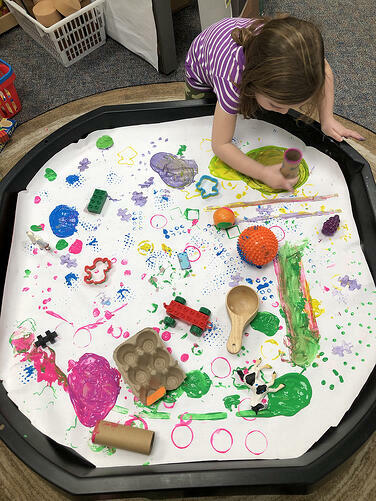 By using the Active World Tray to create unique invitations to play for children, you will be amazed to see them discover a multitude of different concepts right before your eyes. 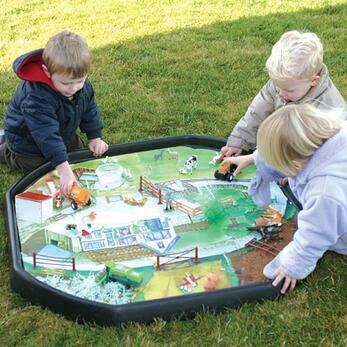 It is our belief that the Active World Tray perfectly encompasses all five steps of the Playful Learning Approach. Active World Trays offers unique possibilities for play in a flexible, contained space that is perfect for open-ended play. It provides endless opportunities to create dynamic play experiences that all children can enjoy which will spark their imaginations. One of our favourite things about the Active World Tray is how easily children can self-direct their own play which is critical to creating engagement which in turn promotes discovery-based learning. 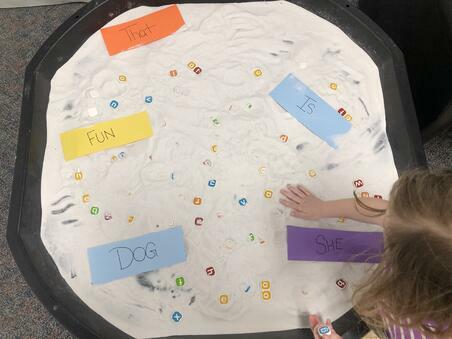 By using the Active World Tray to create engaging invitations to play, it allows children to use that as a starting point to decide where they would like the play to go. Through this, that is how children discover and learn. What truly makes the Active World Tray a collaborative play experience is that so many little ones can fit around the tray and take part in the play that has been created within the tray! It has been designed with eight sides to encourage group participation. Children need opportunities to play with other children through working together or engaging in an activity. Invitations to play within the tray, allow children to play together collaboratively which helps them develop crucial social and emotional skills. There are so many different exciting invitations to play you can create to encourage children to play together! Why not fill it up with sand and hunt for squidgy sparkle letters, fill it with water and sail boats the children have made themselves or use it as a giant inspection tray for mini worlds? Will you set up a jungle with real plant cuttings and animals or will you create some super outdoor art using messy materials? The tray stores easily, it can be carried easily, the trays can work on the ground or you can purchase additional leg lengths to attach. You can also attach canopies easily to the top holes to provide shade or more defined secluded space for the groups participating. 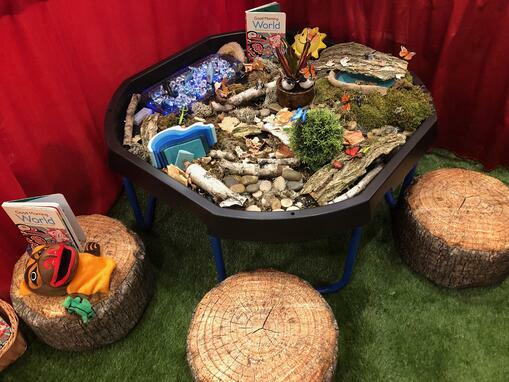 The Active World Tray is perfect for sensory play, a wonderful place to encourage engaging invitations to play that invite children to discover and explore! Children discover and learn through exploring with their five senses. 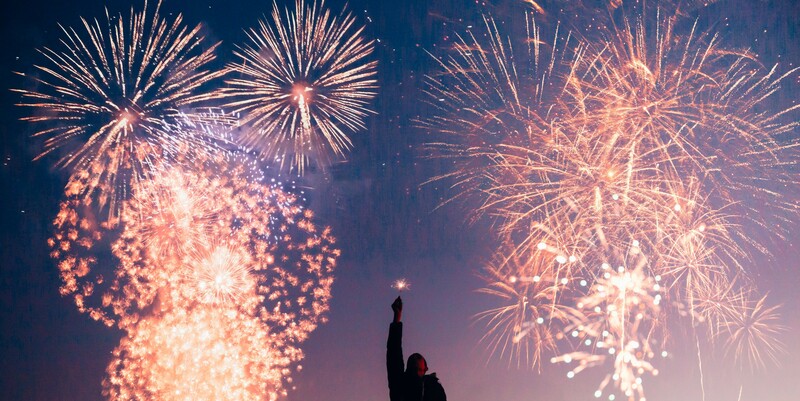 Sensory materials encourage children to uncover different sensations and textures which is crucial to their development and understanding the world around them. Sensory materials can be varied such as felt pieces, buttons, sand, water or any natural materials. It can be as simple as pompoms or balls in the tray for a baby, textured items of the same colour, a sand tray with items buried waiting to be discovered. The opportunities are endless! Children inherently want to discover the world around them. They are eager to uncover new things they have not seen before and learn their meaning through play. 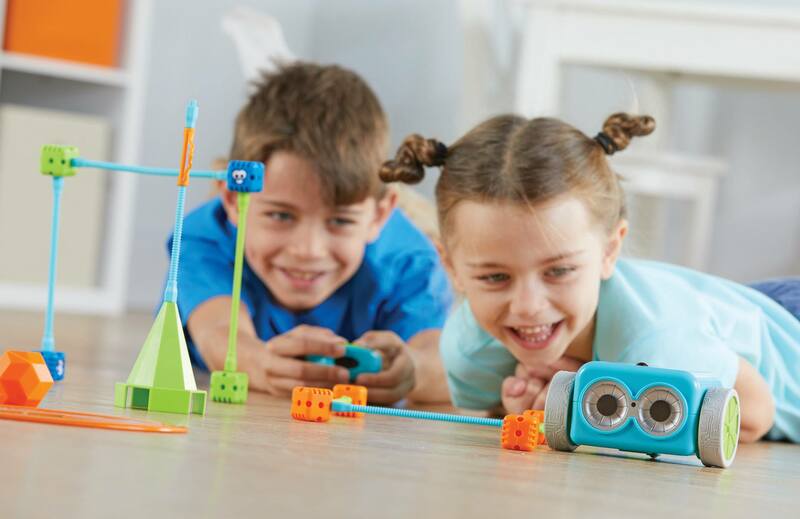 As parents and educators, we are responsible for creating opportunities for children to discover new concepts. Through discovery they will learn and remember, versus us just simply telling them new information. Children will remember everything they have discovered but will forget much of what they have been told. The Active World Tray is a great tool to contain or create these invitations to play. Examples are thematic small worlds (farm, dinosaurs, roads for vehicles, seasons) or bringing outdoor materials indoors (snow, sand and natural materials). Play encourages children to express themselves in ways that help them communicate what is important to them. We must give children opportunities to share their feelings and thoughts through opened ended play. What does this kind of play look like? It can include art, imaginative play, or the telling and recreation of stories. Children are all unique, they have interesting minds, and will each communicate in their own way. The invitations to play within the tray are opportunities for them to share what they are thinking or have created. We can assist them in their play through offering invitations or adding props and thematic inserts that can engage their imagination. At Scholar’s Choice we’re proud to say we are the exclusive carrier of the Active World Tray in North America. We have loose parts, imaginative play materials, sensory items and more that will enhance your child’s play within the Active World Tray! 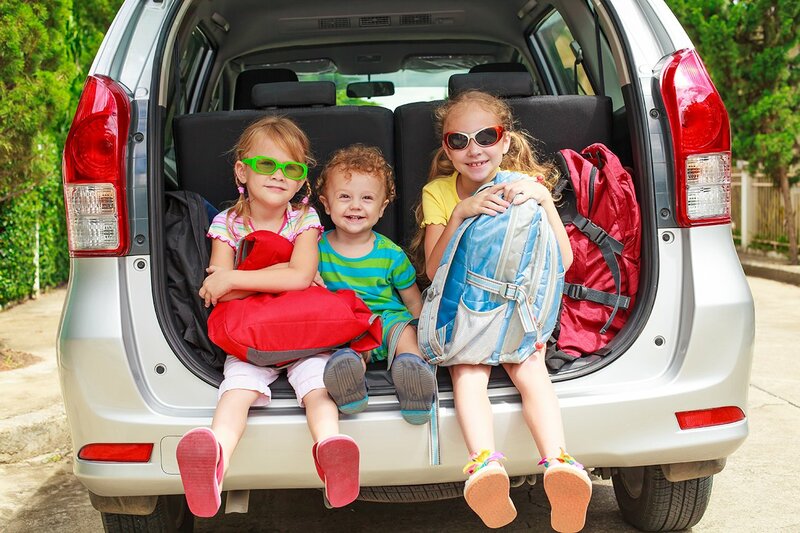 We want to ensure you will have everything you need for your children to achieve their hopes and dreams. The Active World Tray is an item we truly believe will make a difference in your child’s development.